Welcome to MidMaineBass.com, the ultimate resource for bass fishing in the Mid-Maine region. This site was created by local anglers to help local and visiting anglers find their way around Mid-Maine for the best bass fishing in New England. Mid-Maine is home to many lakes, rivers, and fishing holes. On this site you will find maps and photos of boat launches so that you know what to expect when you get there, and topographical maps of each lake so that you can plan your trip to be more successful. Our resource page will help you find area businesses who can help you on your trip, from area bait shops and marinas to restaurants and lodging. And our blog is packed full of stories and videos of our local recreational and tournament anglers to help you with your trip. And for you tournament anglers – check out the list of upcoming tournaments in Mid-Maine in our Events section. 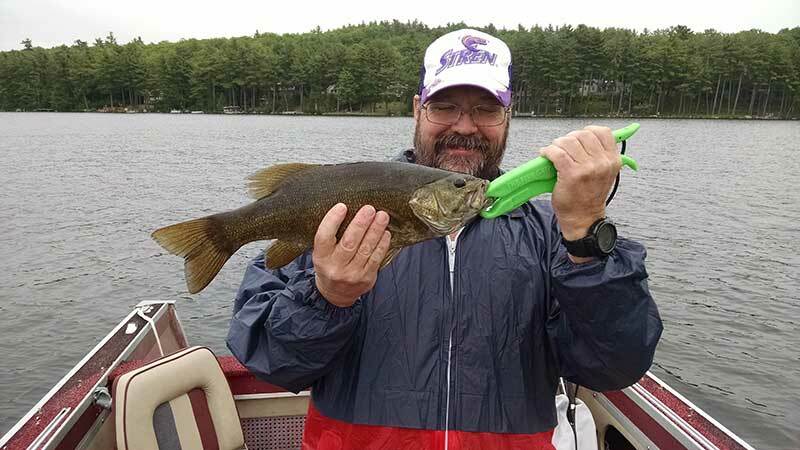 Share your catch with other anglers in our Local Lunkers and Photo Gallery section. Simply upload your photo and some details about the bass that you caught and where you caught it and you will be featured in one of these sections. And of course, like us on Facebook. Mid Maine is a great place for a family to spend time on the water. Check out our Family Fishing in Mid Maine spot. Site content & graphics © and maintained by the Mid-Maine Chamber of Commerce unless otherwise noted. All Rights Reserved.